Home Exabytes Tips Sharing How to start an Ecommerce store? How to start an Ecommerce store? Amazon, Ebay and Alibaba are the big players in Ecommerce. Last year, Amazon’s worth is up 30% while Alibaba‘s stock has nearly doubled as both companies raced to $500 billion in value. Moreover, there are a lot of small/medium E-commerce companies with annual revenue greater than 1 million. This shows how trending the E-commerce market is nowadays! However, building an Ecommerce store can be both interesting and terrifying as one needs to have the relevant skills and knowledge. That’s why in this blog post, we have come up with the easiest steps to build an Ecommerce store. The first step to build an Ecommerce store is to find your niche. It is not as simple as buying a bulk supply of products you like and then resell it on your Ecommerce store. This is why selling jewelry and clothes can easily lead one to a dead end. To have a successful start in your Ecommerce business, you need to do a lot of research and know which products are currently trending and not easily available from other Ecommerce stores. Keep in minds that consumers are always attracted to unique and specific items. You should plan your journey and schedule before you go traveling. The same goes to starting an Ecommerce business, you have to create a business plan before you start your business. A business plan is the most critical thing that helps you to develop the roadmap and framework to establishing a successful business. From setting up your business overview, choosing the product suppliers, doing market analysis to the financial planning, your business plan must have a clear idea of how it will reach success. To understand more details what a business plan, please continue your read here. After establishing a business plan, you may need to choose a hosting provider. A hosting provider/web host provides the service of domain registrations, website hosting and other related services that you need to build and maintain your E-commerce store. Next, register your domain name. A domain name is the address of your online store. It is what users type in their browser’s address bar to reach your website. Besides, with a domain name, you are able to improve your business identity, increase business trust and reach out to local market better than your competitors. Without a web hosting service, registering your domain name will serve little purpose. Web hosting is the space that you buy on a web server to store your website files and ensure your Ecommerce store is up and running. In addition, an SSL certificate is also very important to protect your visitors’ sensitive information, including their contact details, bank account details, passwords, etc so that they can buy with peace of mind. 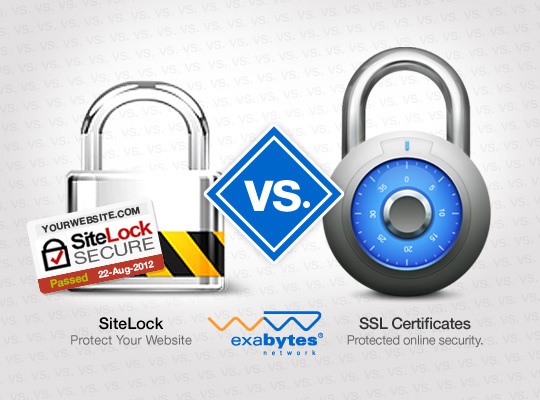 Recent research show that websites with SSL also help in SEO and tend to rank higher in the search engine. Therefore, you should buy a web hosting plan with Free SSL service, otherwise you might need to pay more for this service in the future. Use WordPress and WooCommerce to create and design your own Ecommerce store. When you purchase a hosting plan, your hosting provider will email you all the details needed to login to the backend of your account, namely cPanel. Once you’re logged in to cPanel, go for 1-Click WordPress Installation. All you have to do is just click on the WordPress icon. After installing WordPress, you can use it to add product descriptions, choose a theme/template, add images, put your taglines, set up your menu and so on. To learn more, here are the steps on how to create your website using WordPress. After creating your website with WordPress, you still need to set up payment methods, add shipping information and sort taxes automatically. Therefore, it’s recommended to set up a WooCommerce store, which is actually one of the WordPress Plugins. WooCommerce can be used to sell both digital downloads and physical goods that need shipping. Besides, WooCommerce features built-in payment processing from leading providers, such as Paypal and Stripe. They also accept credit cards/debit cards, direct bank transfer, cheques or cash on delivery to enable users to make payment with just a few clicks. Moreover, users are able to choose pickup, local delivery or shipping. Also, it can help you automatically calculate the state tax rates for some of the major countries. There are still a lot of features the Woocommerce provides that you should refer to. *If you are overwhelmed, or simply busy to use WordPress and WooCommerce to create your e-store/website, hire a web designer or ask a web design company to help you customize a unique and beautiful web design, including photos and copywriting created specifically for your business. Once you create your own Ecommerce store, you can start selling — it’s time for you to market your Ecommerce business and drive traffic. Here are the most effective and efficient ways to advertise your Ecommerce store and gain business/brand awareness. Social Media is the most popular and effective way to advertise your products and services nowadays. Create a business account on Facebook, Twitter, Instagram, or any other platforms you find suitable to reach your audience, and frequently display your company information, reviews, photos, and announcements to gain more awareness from the clients. With SEO, your website will rank higher in search engines such as Google, Bing and Yahoo! Hence, it is easier to reach the consumer who are looking for the products that you are selling. Therefore it is important for you to ensure your website is SEO friendly. By using Email Marketing, you can directly target your customers. If you have a strong customer database, you can have full control over how and when the messages are delivered. Design your e-newsletters/emails with beautiful template to gain the attention of your customers. Exabytes also provides email marketing service to help you to send your emails to thousands of customers at once. By taking an active marketing role, you can gradually build your own list of customers, categorize and manage them to effectively reach your marketing goals. Starting your own Ecommerce store is not easy. It involves a lot of hard work, including finding your niche, writing a business plan, building your own website, marketing your website and maintaining your Ecommerce store. Keep in mind that just like any other business, having a successful Ecommerce business requires time and effort, and success comes to those who act!